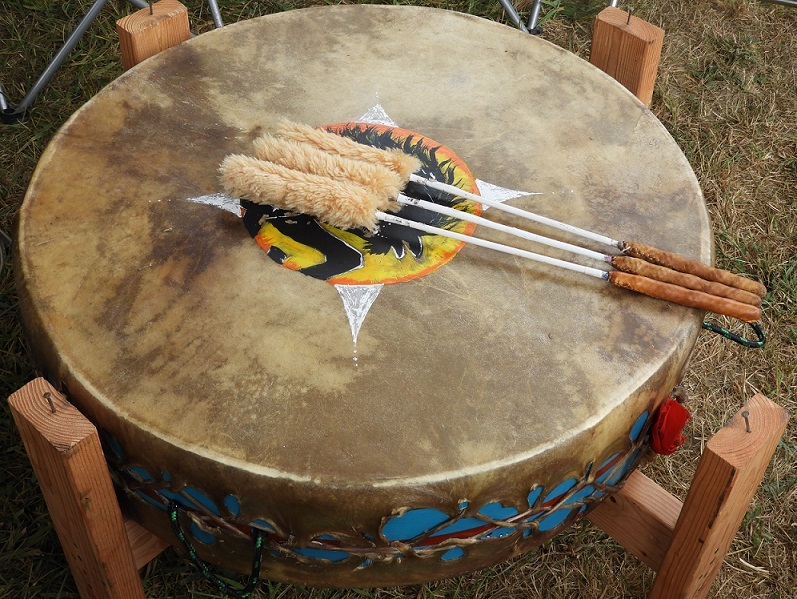 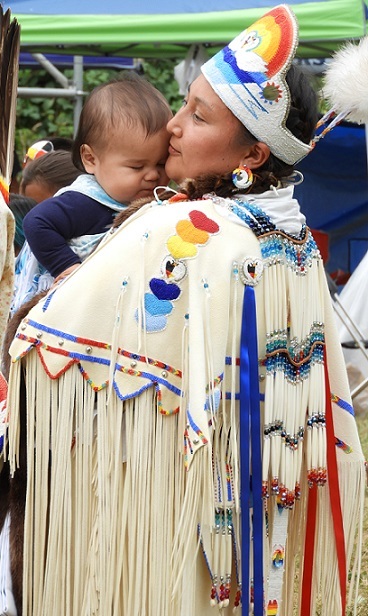 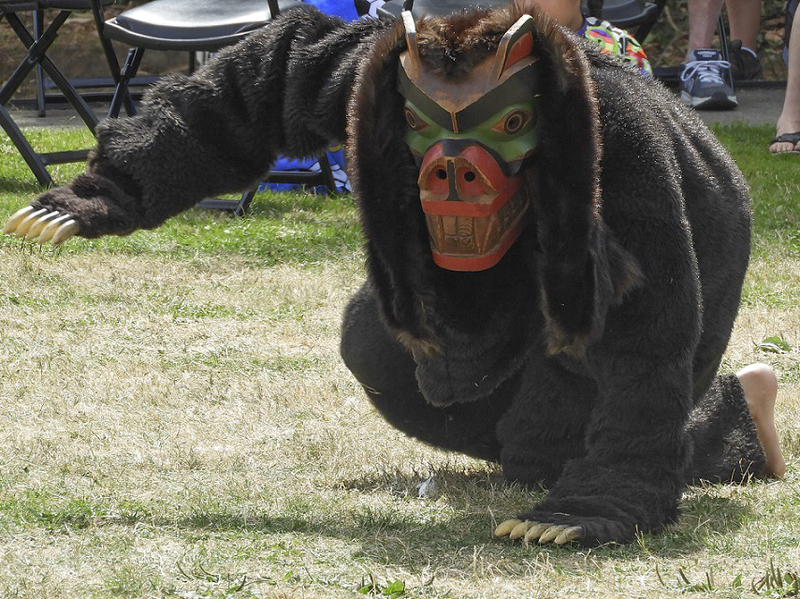 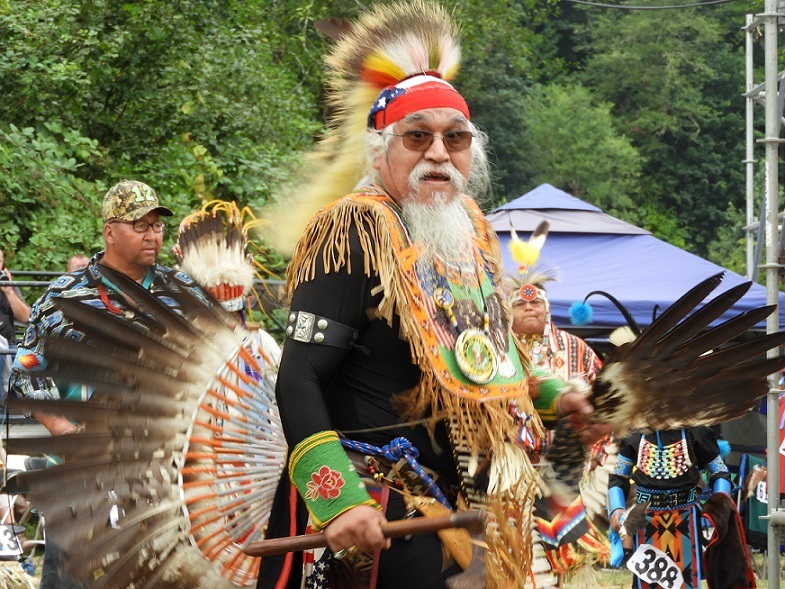 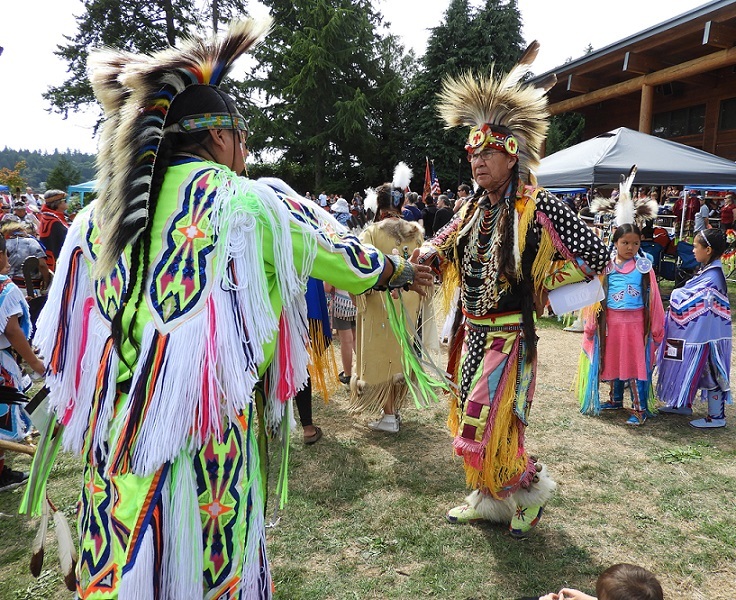 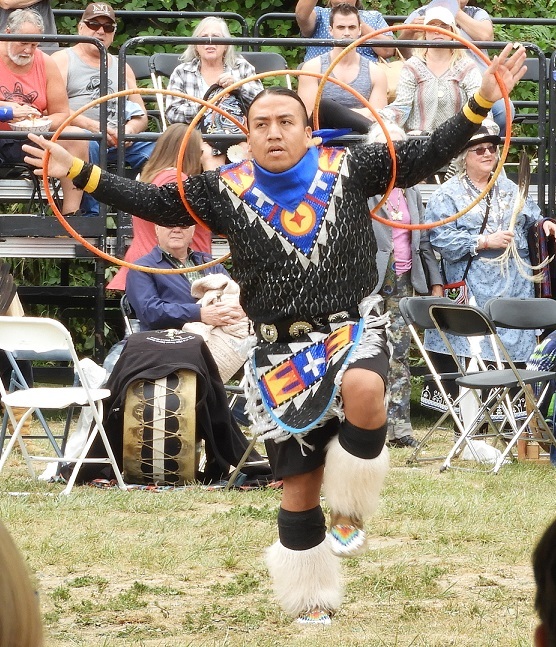 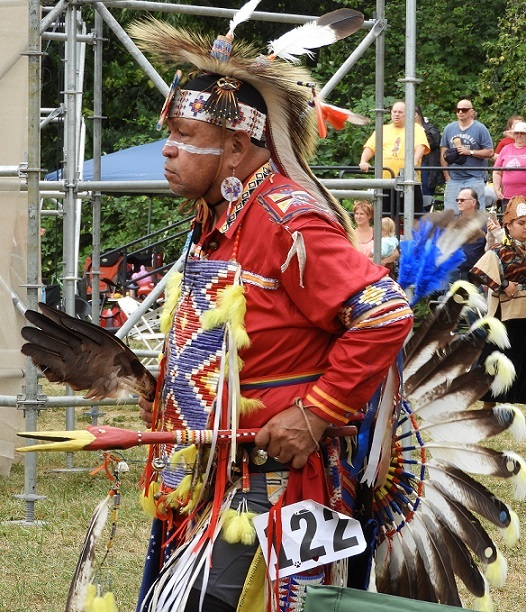 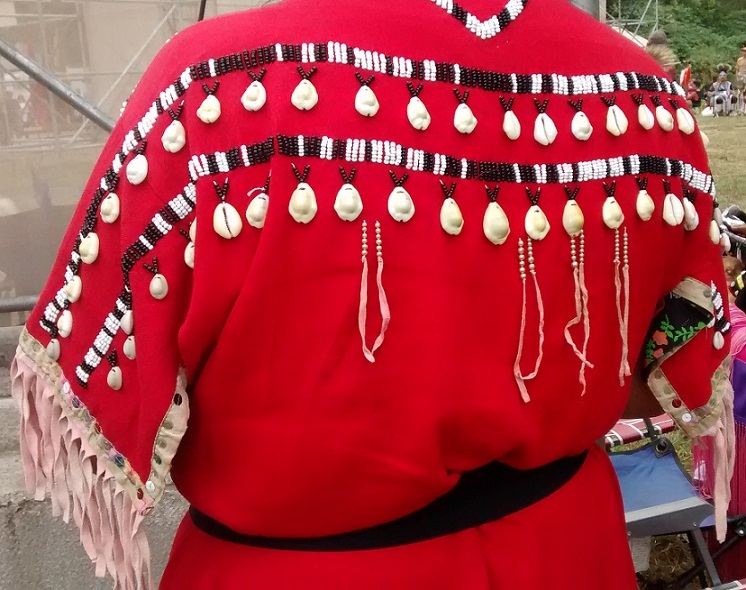 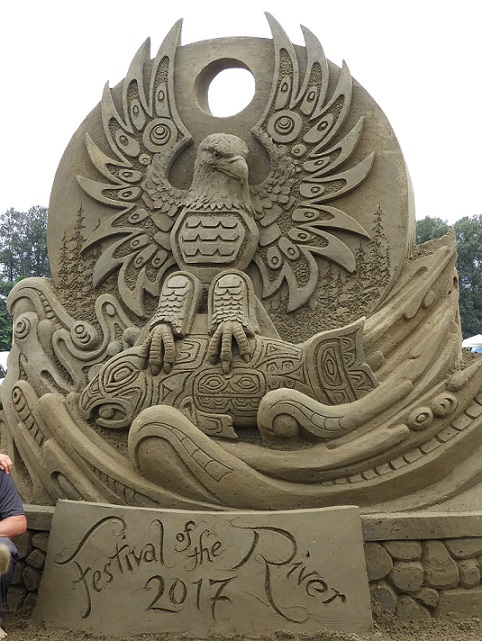 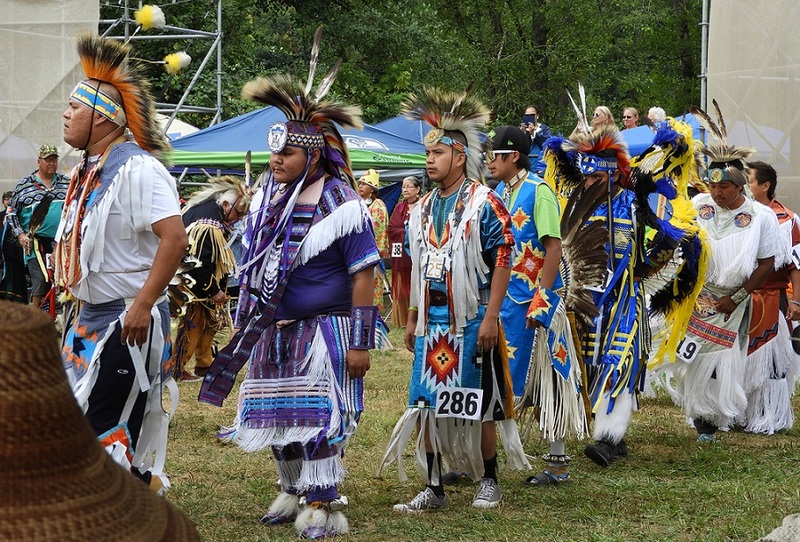 I attended the annual Stillaguamish Festival of the River and Pow Wow recently. 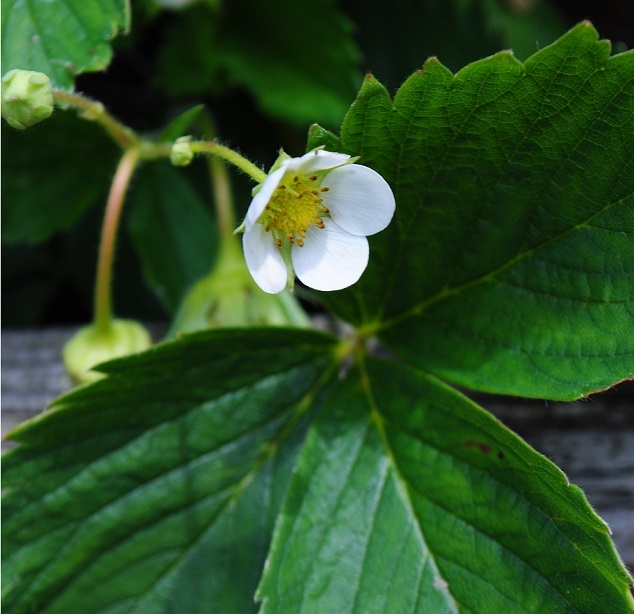 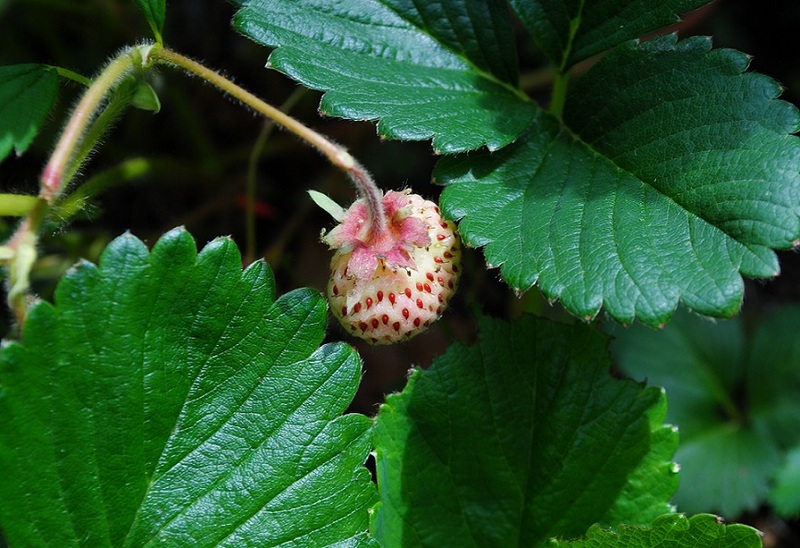 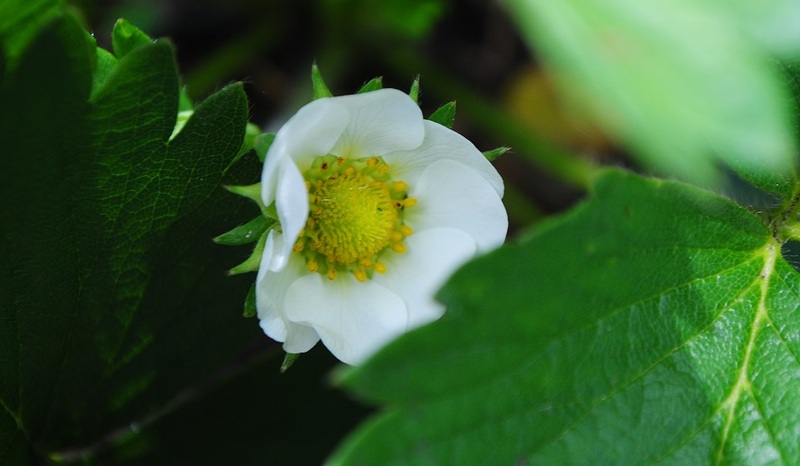 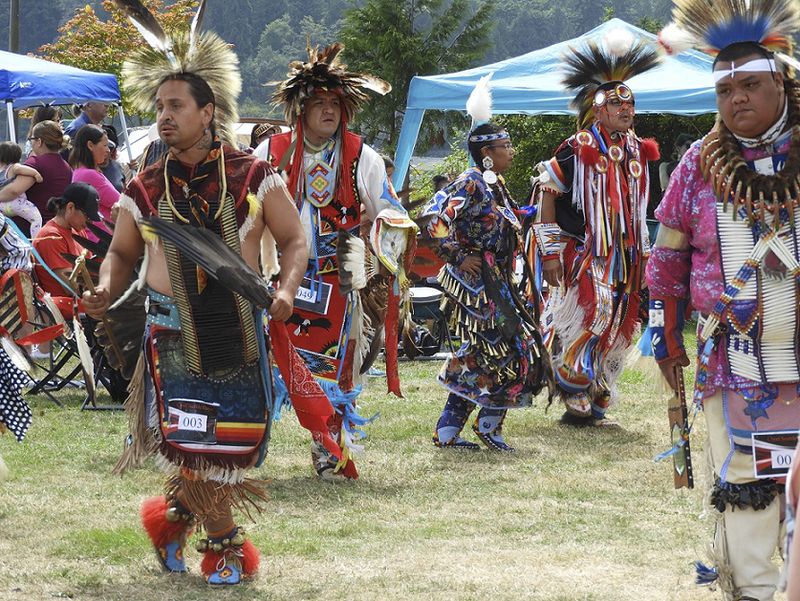 The Stillaguamish is one of our numerous rivers in western Washington, also the name of one of our native tribes. 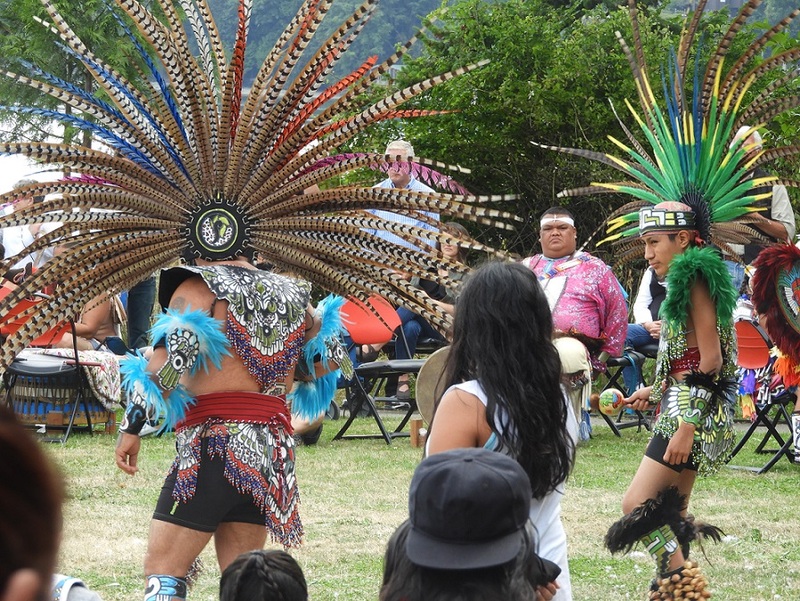 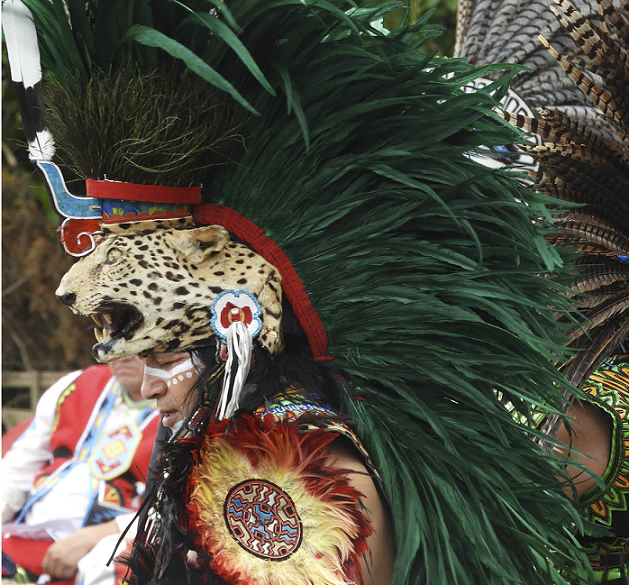 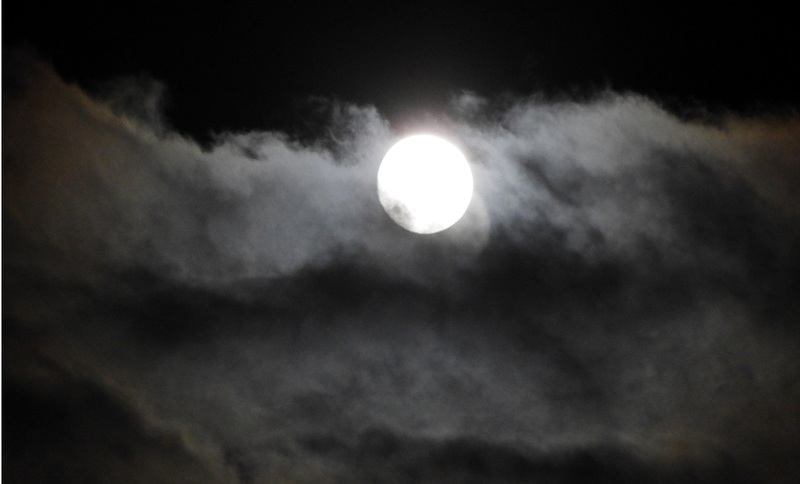 It was exciting to see the regalia and dance competitions. 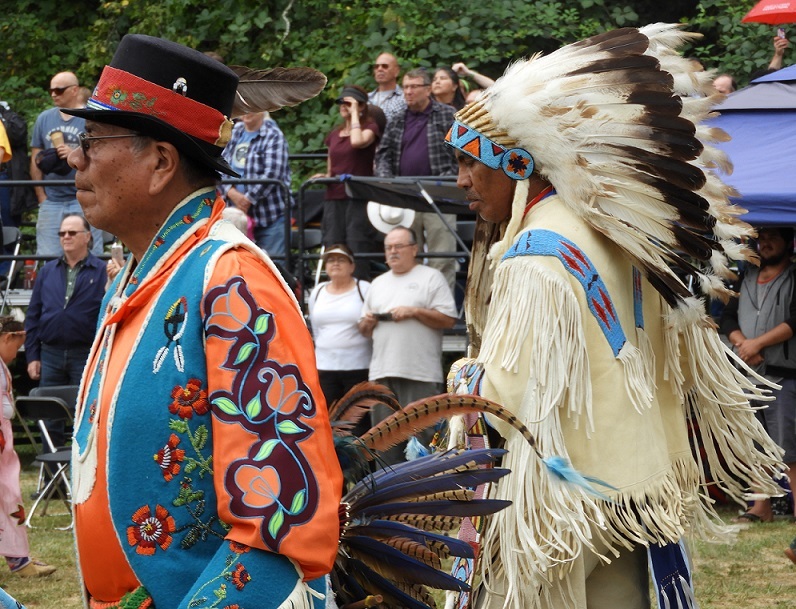 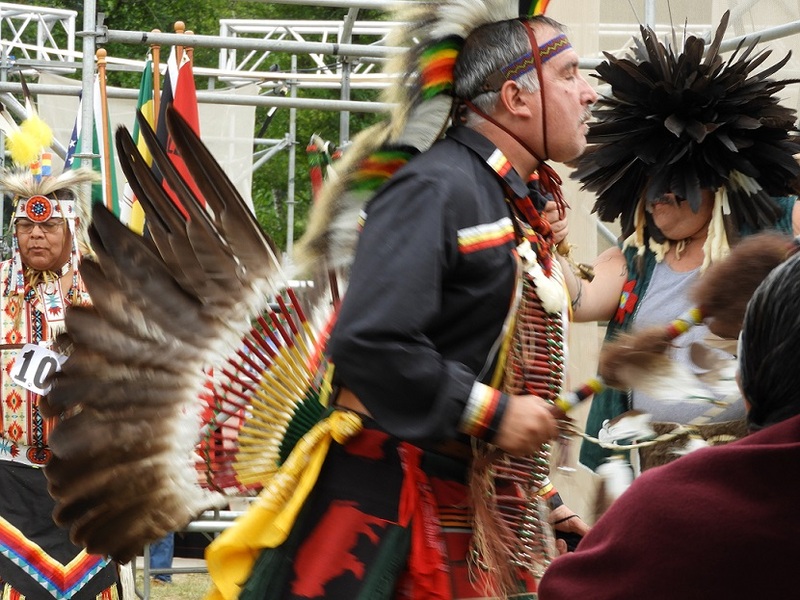 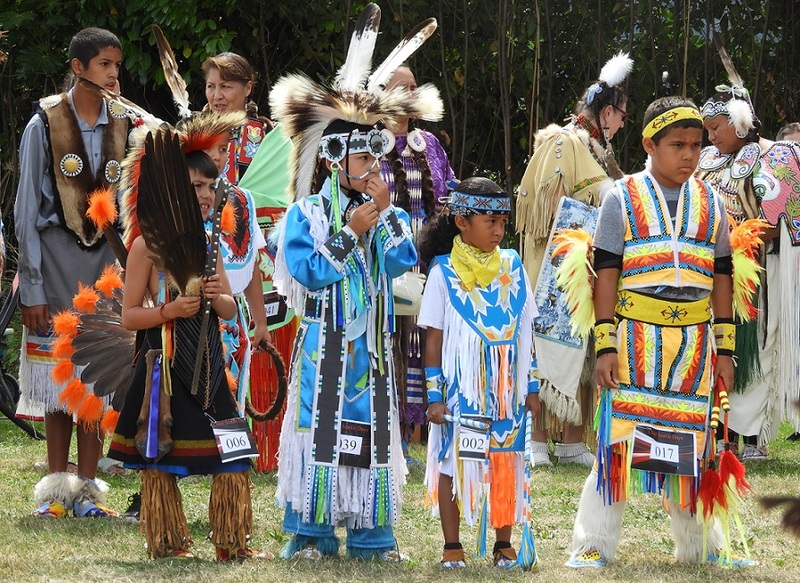 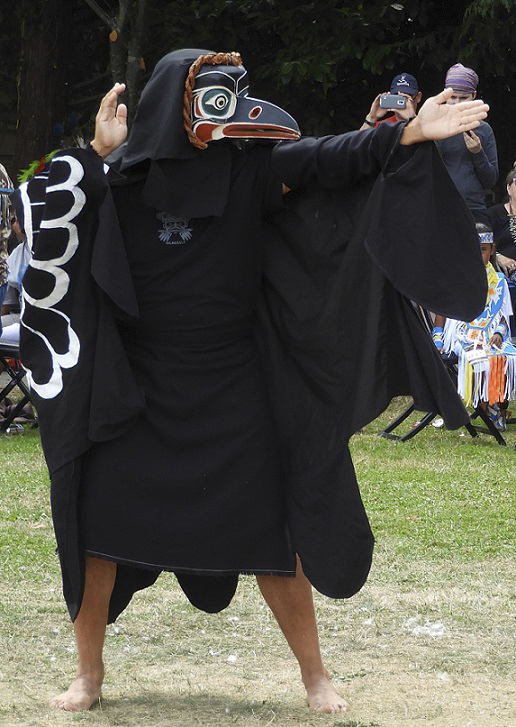 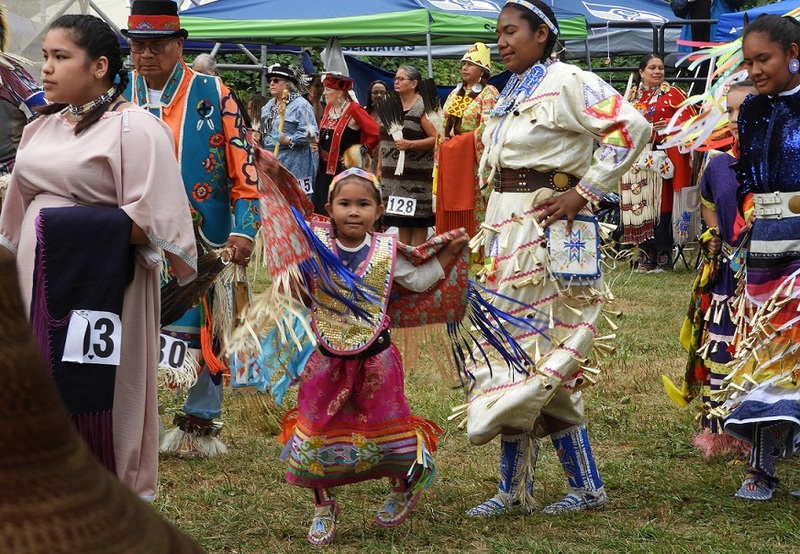 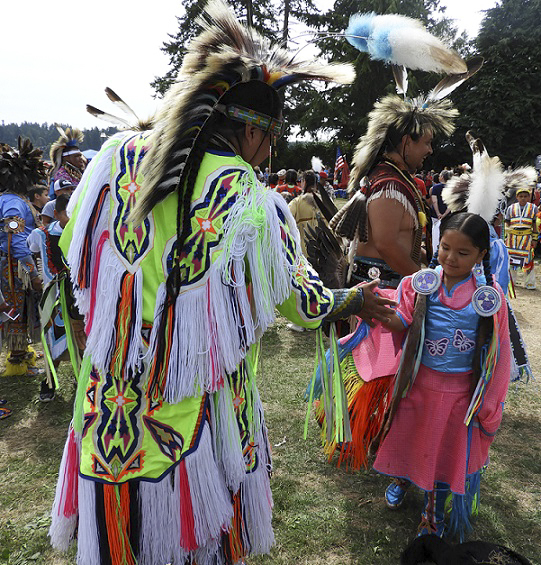 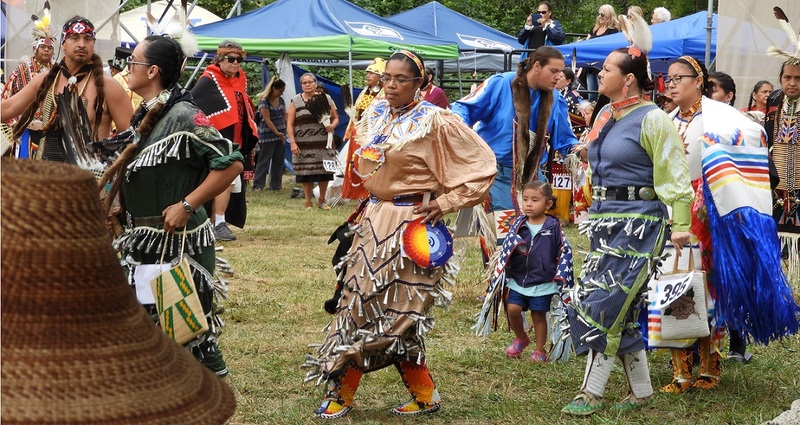 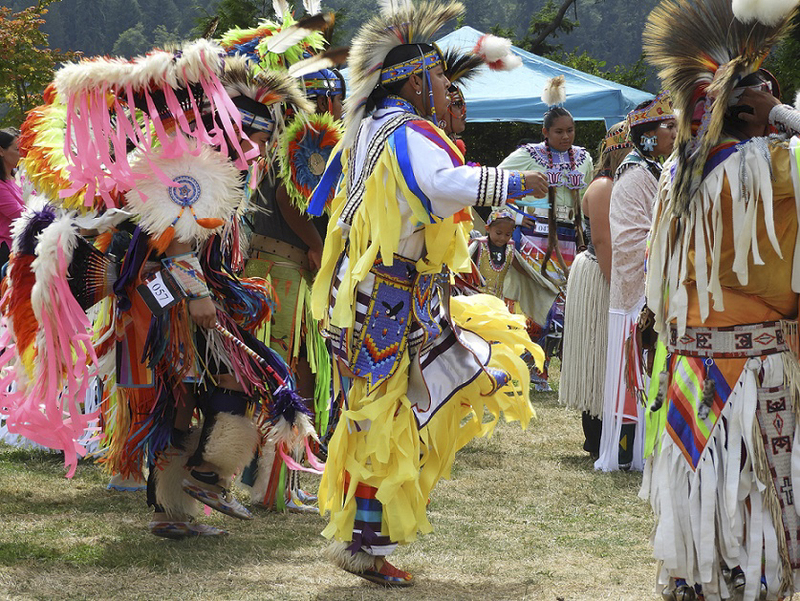 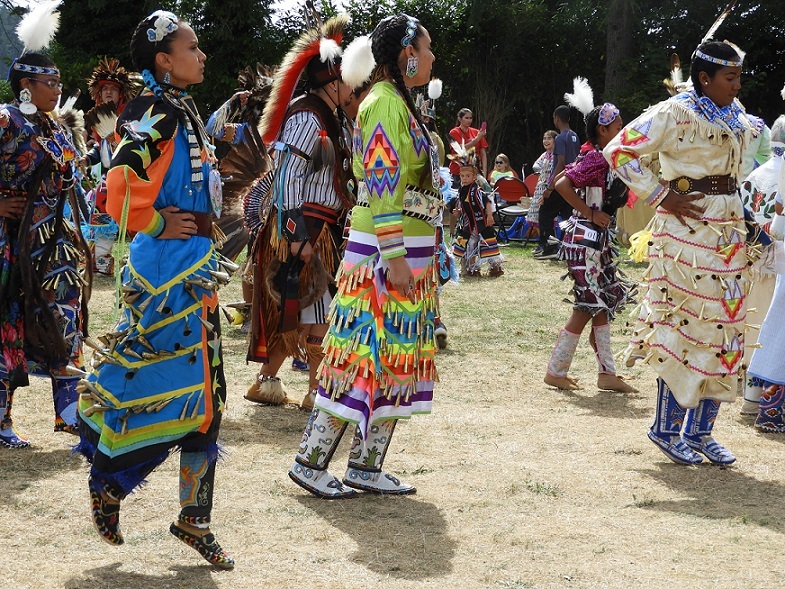 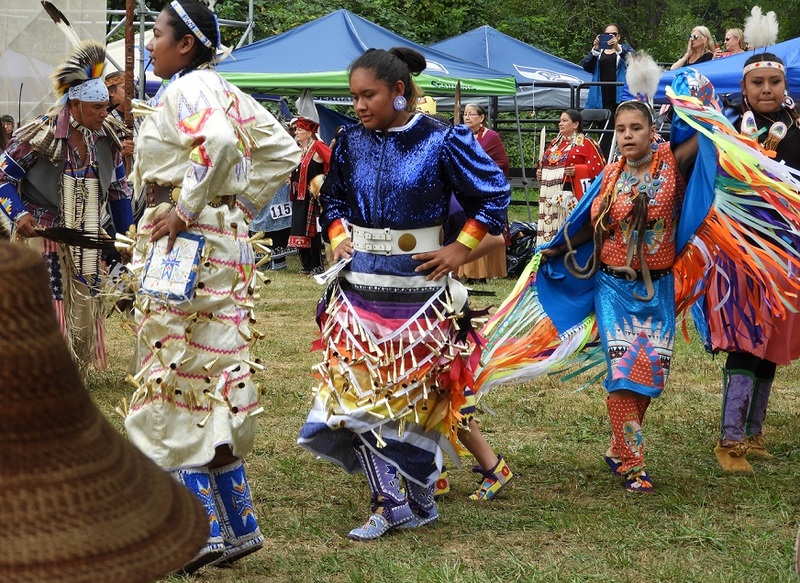 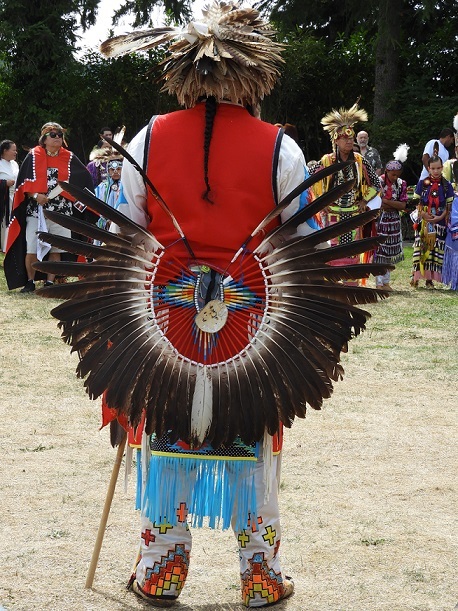 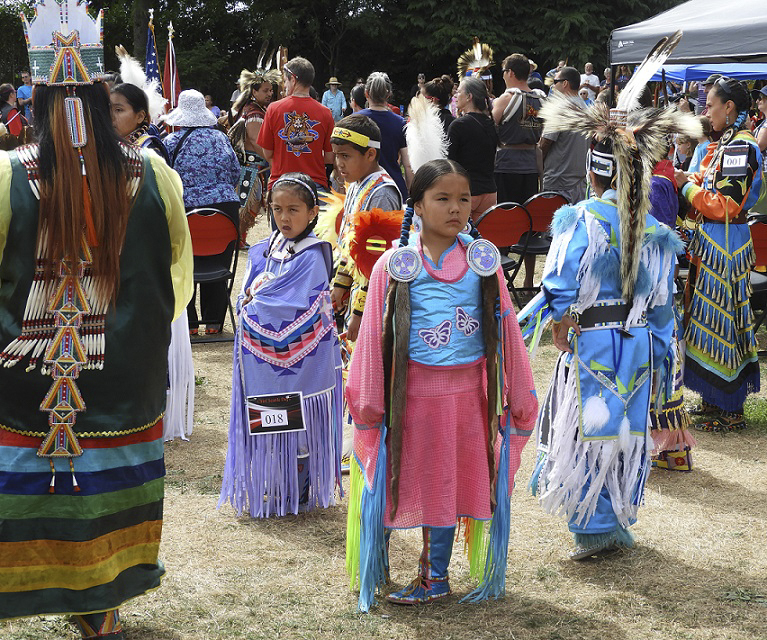 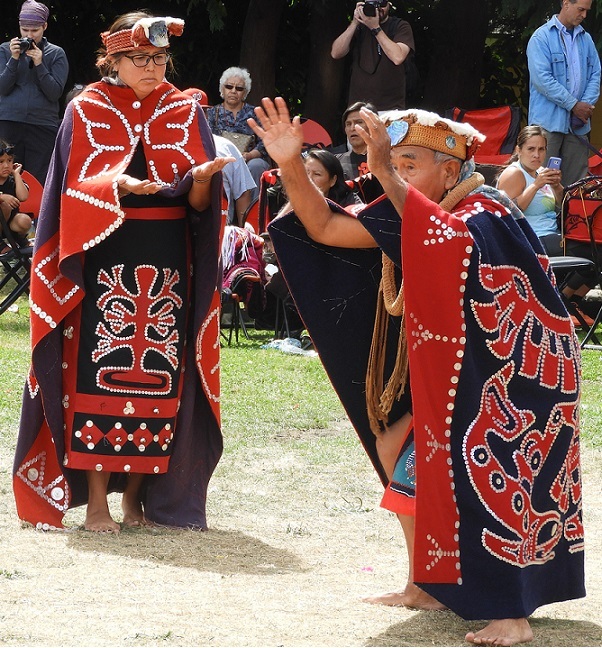 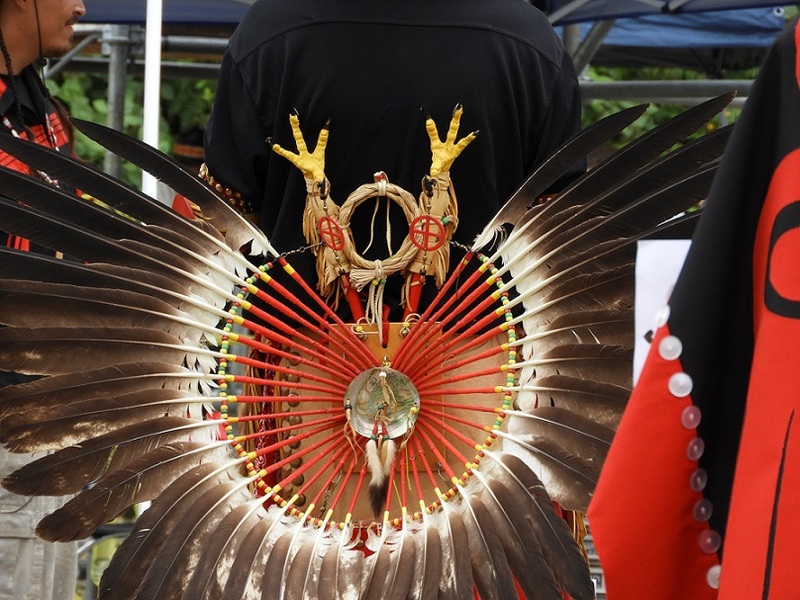 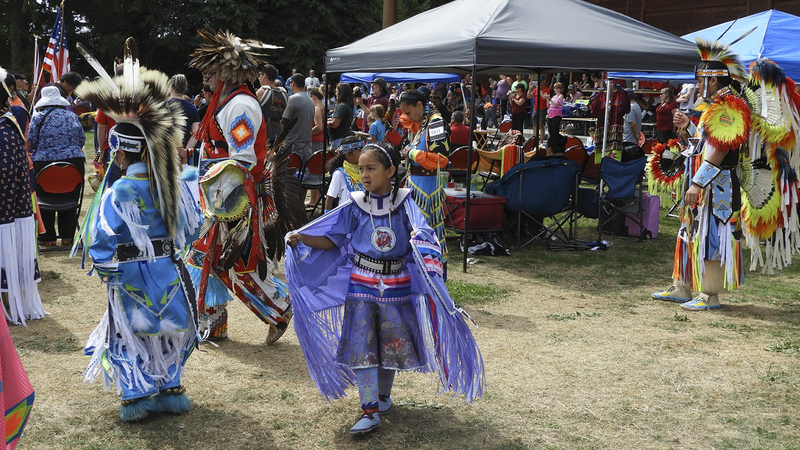 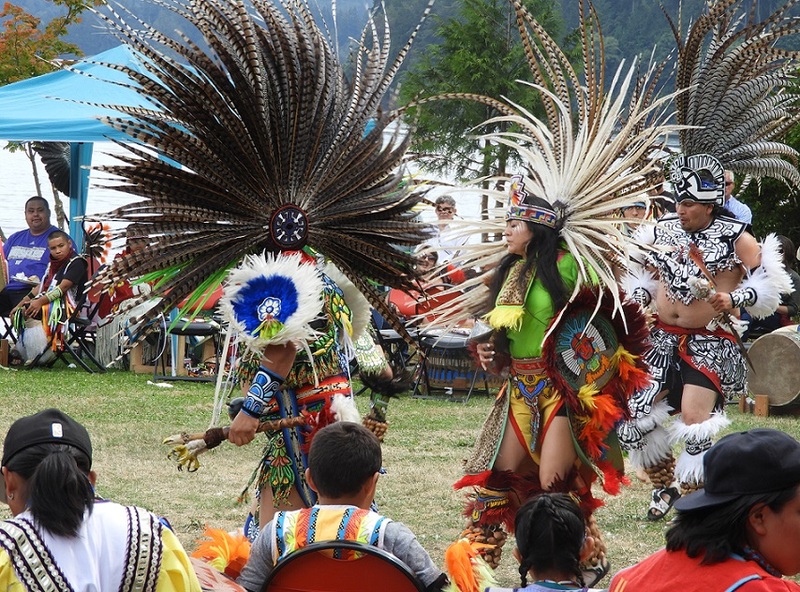 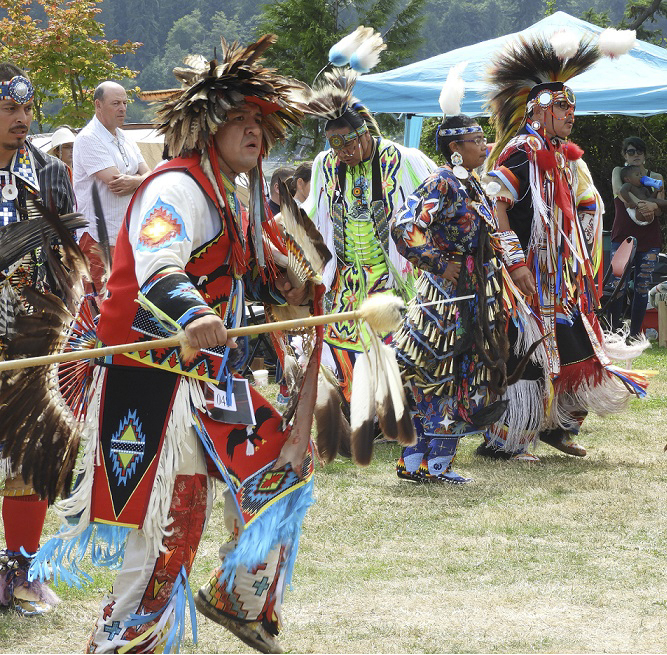 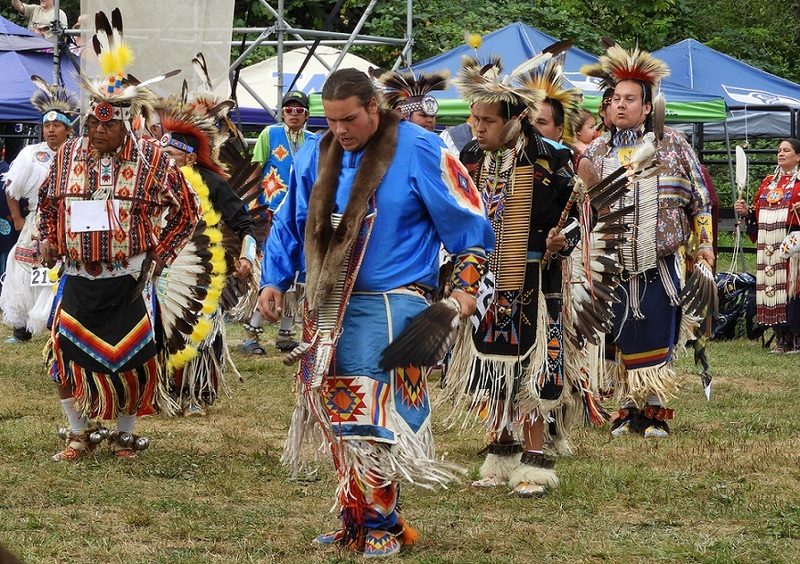 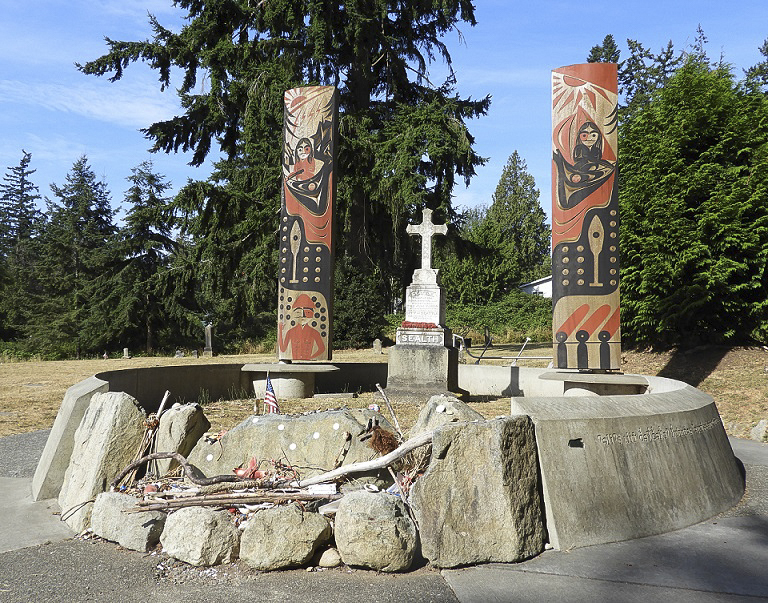 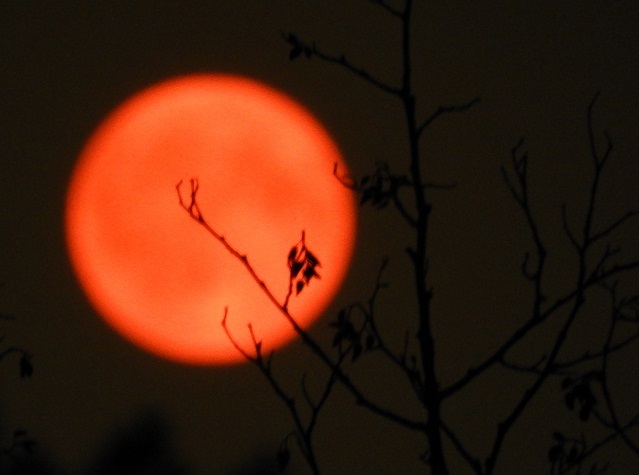 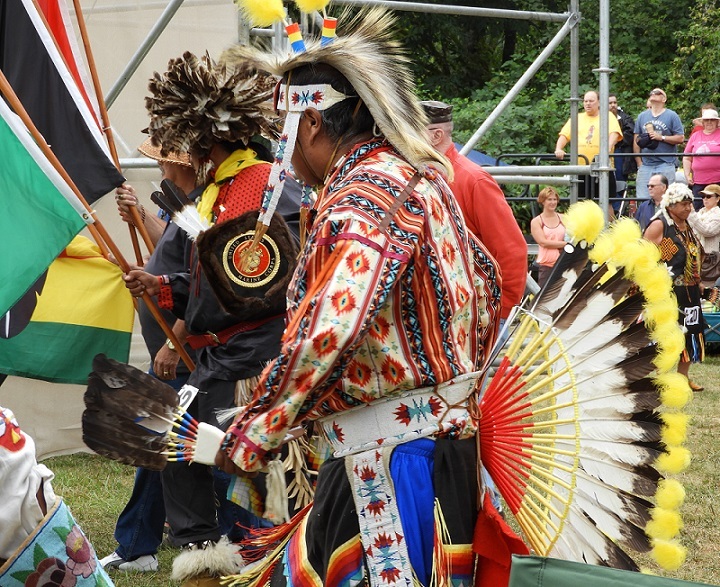 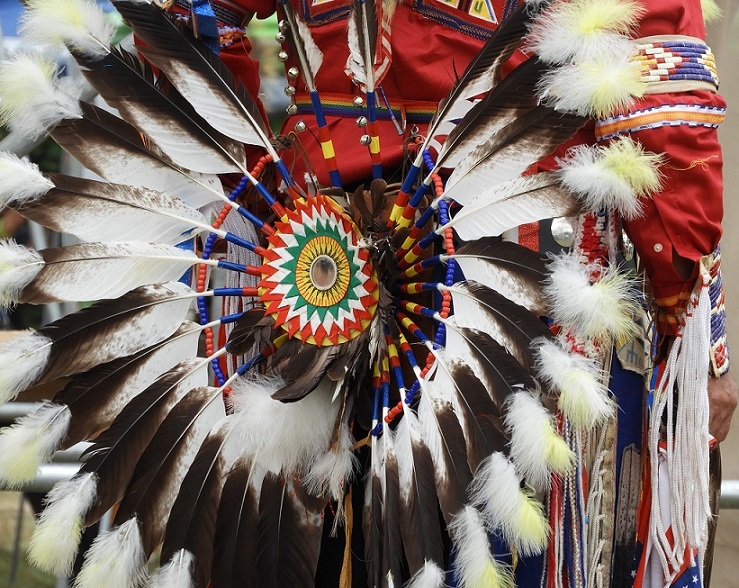 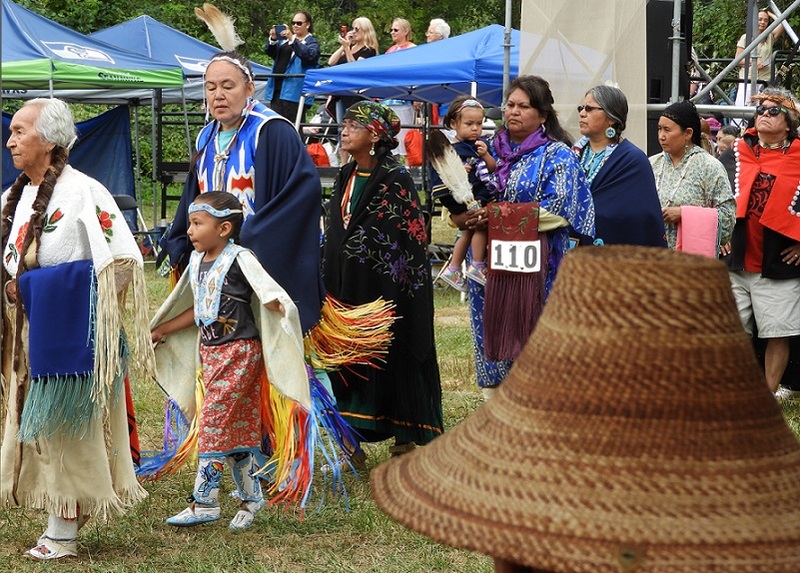 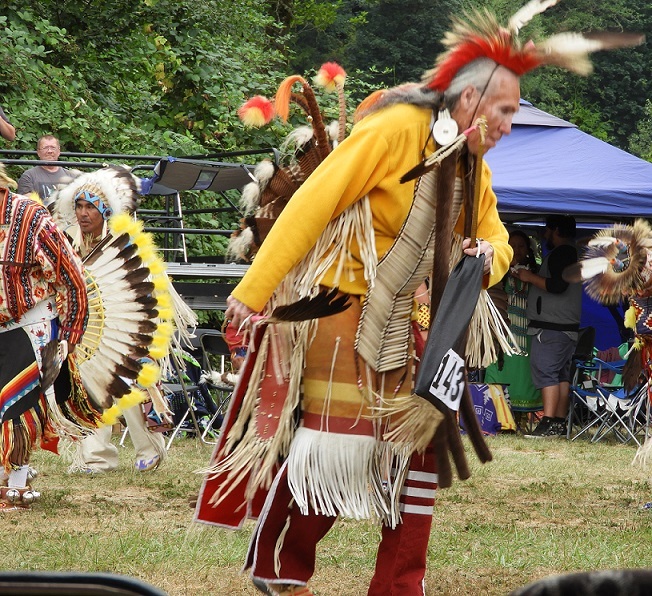 Dance groups included veterans, senior men, senior women and children, representing tribes of the Salish nations. 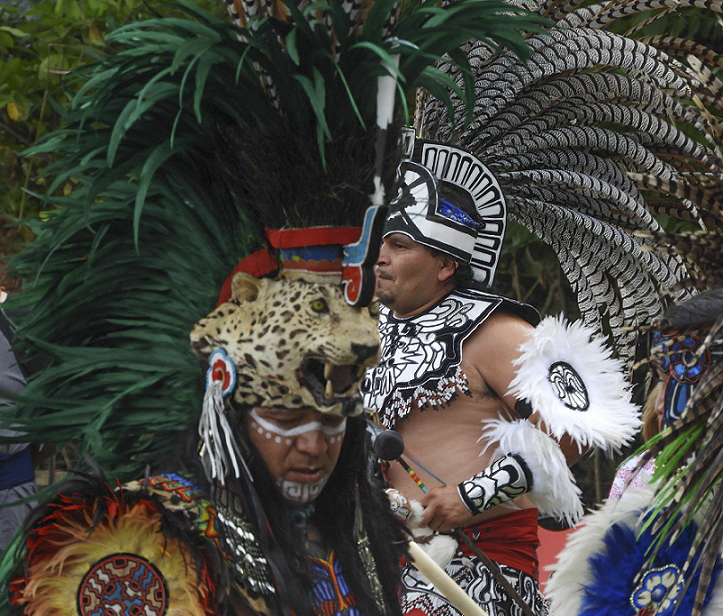 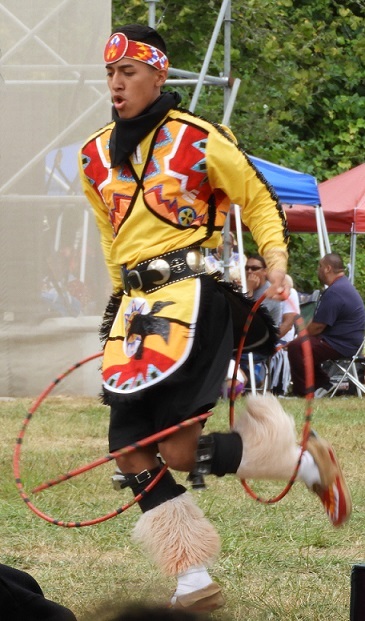 Also featured were young Apache men from Arizona, demonstrating their skills at hoop dancing. 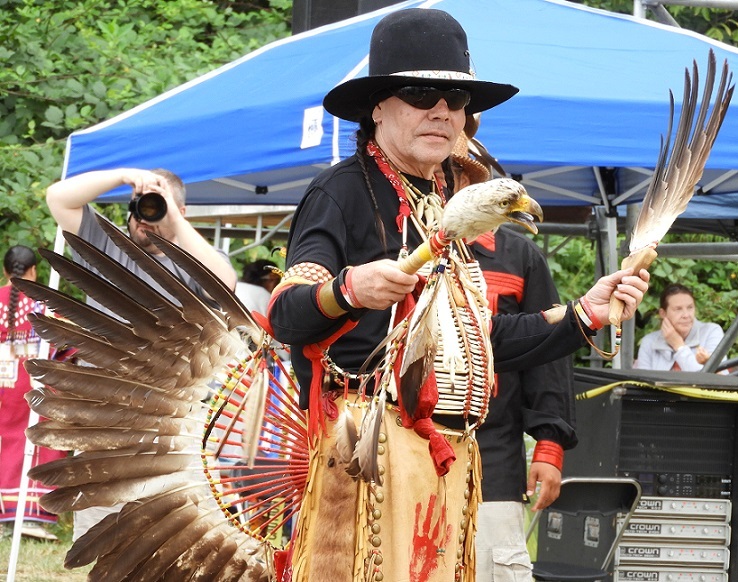 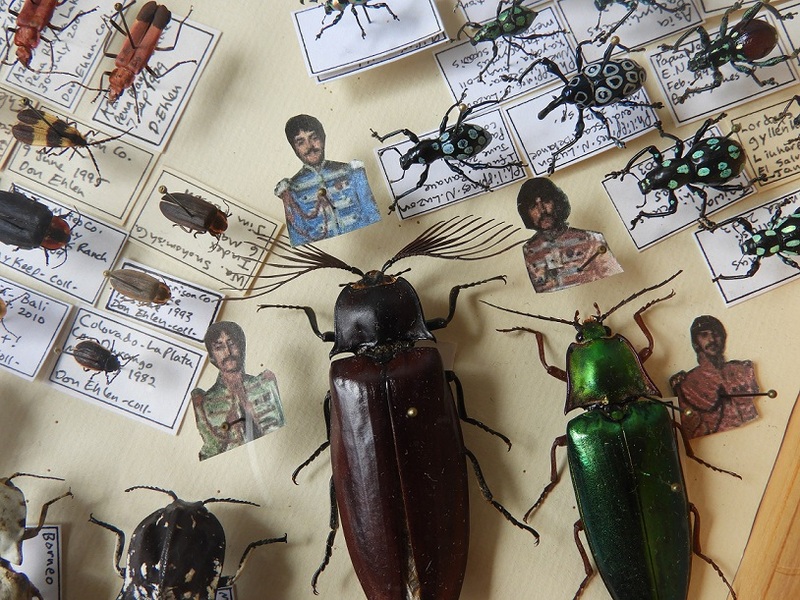 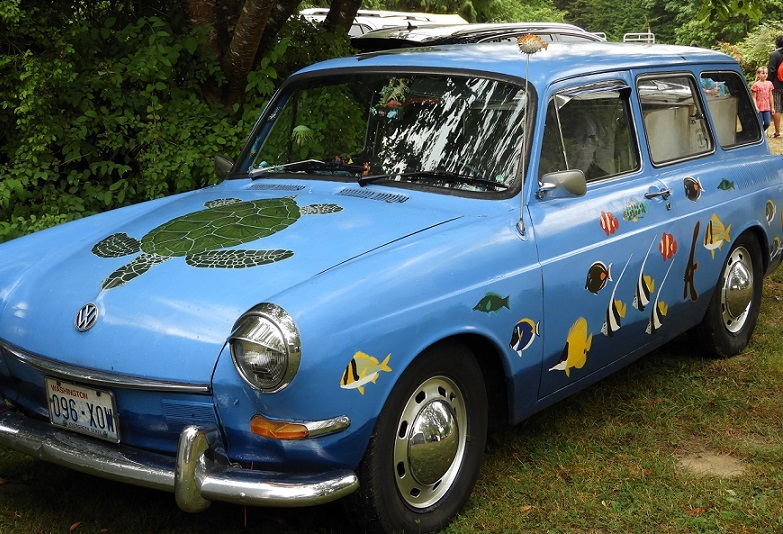 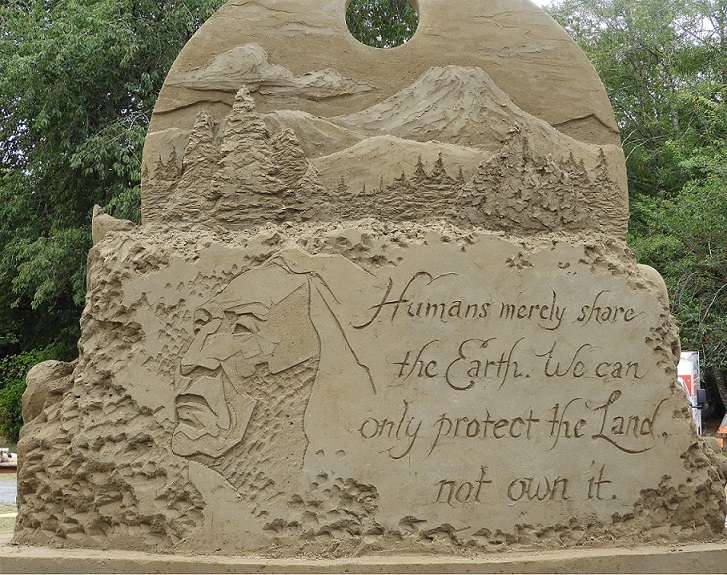 The festival included various educational booths about the river, conservation, and wildlife. 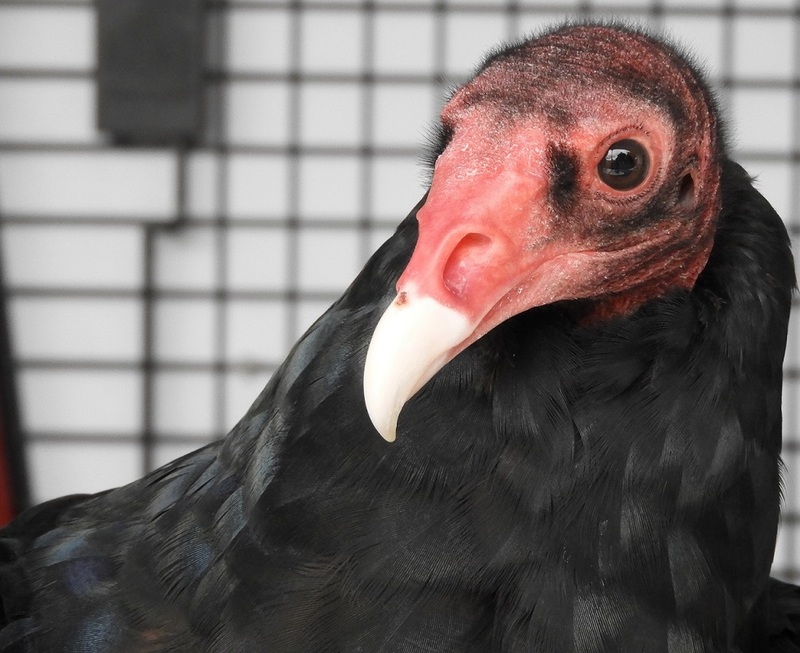 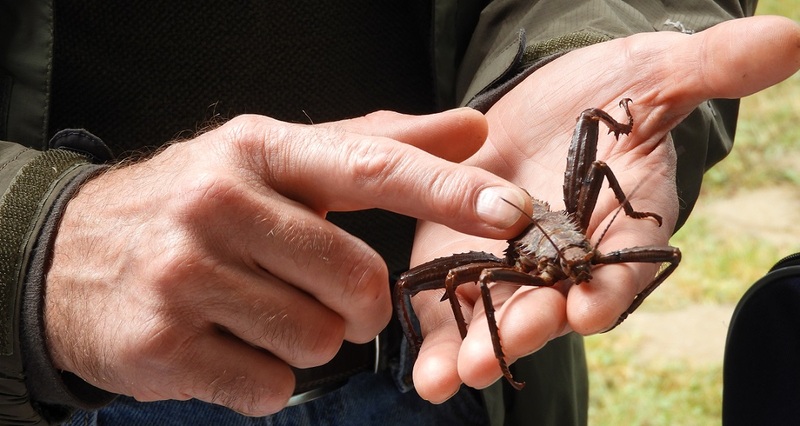 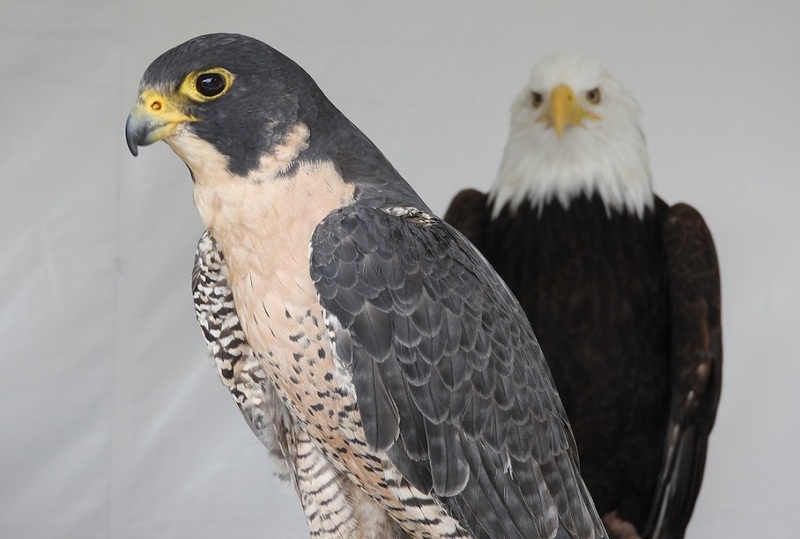 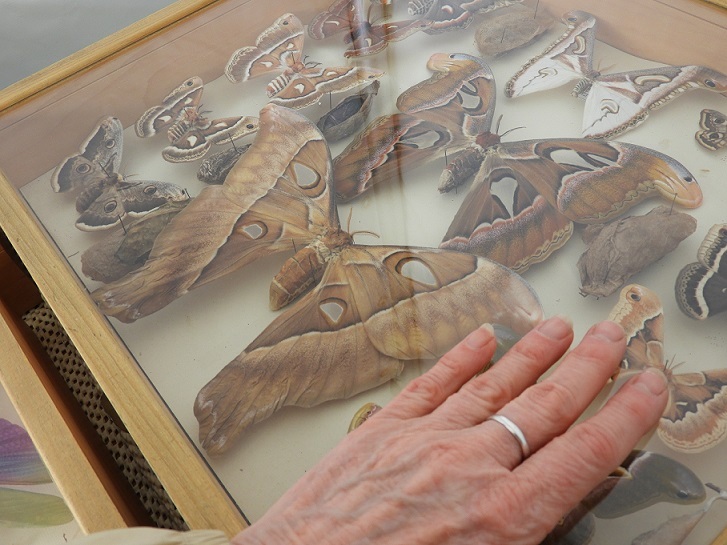 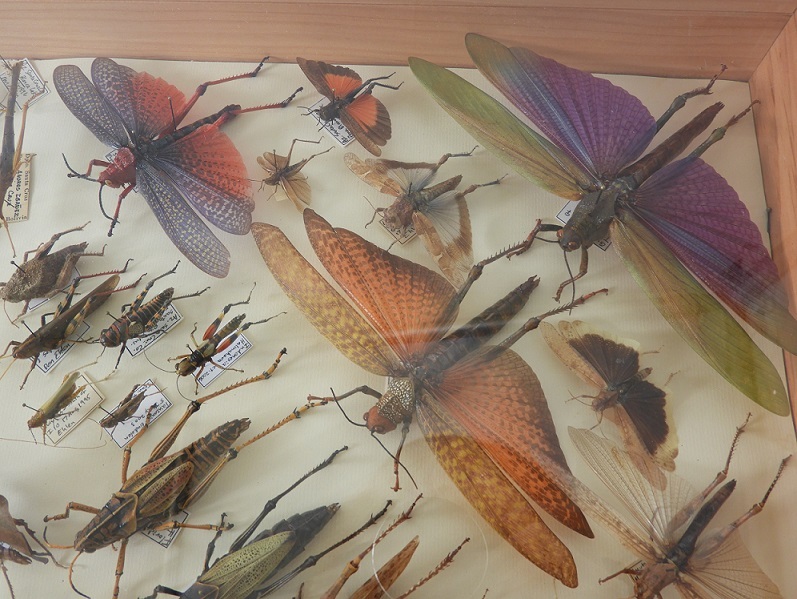 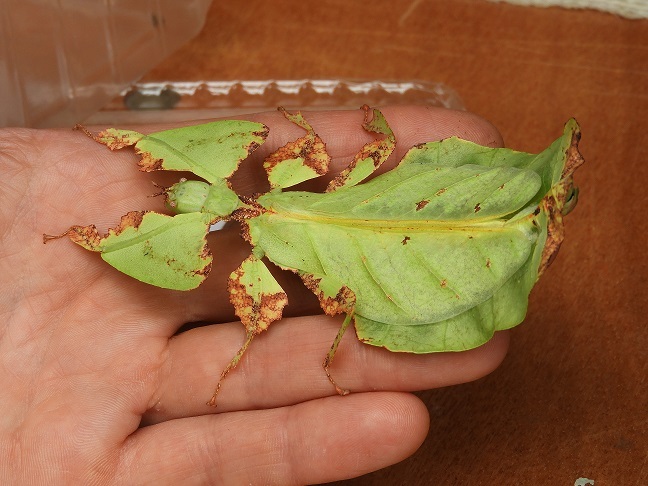 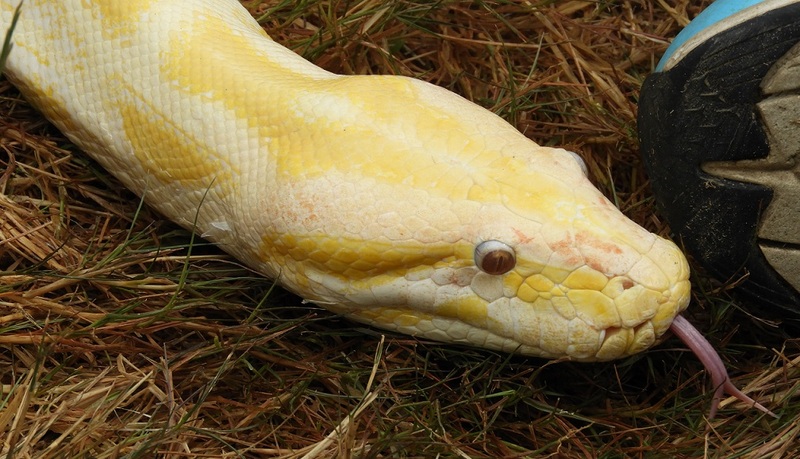 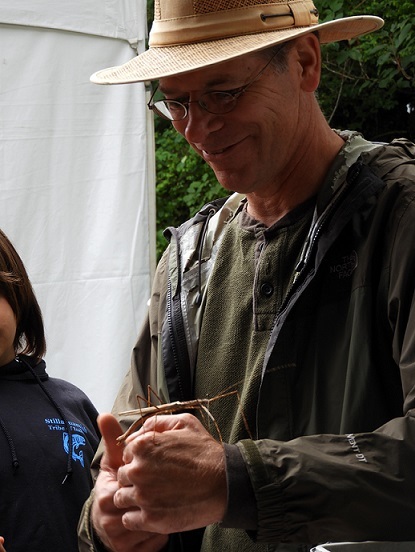 Exhibitors featured insect collections, birds of prey, and one large yellow boa! 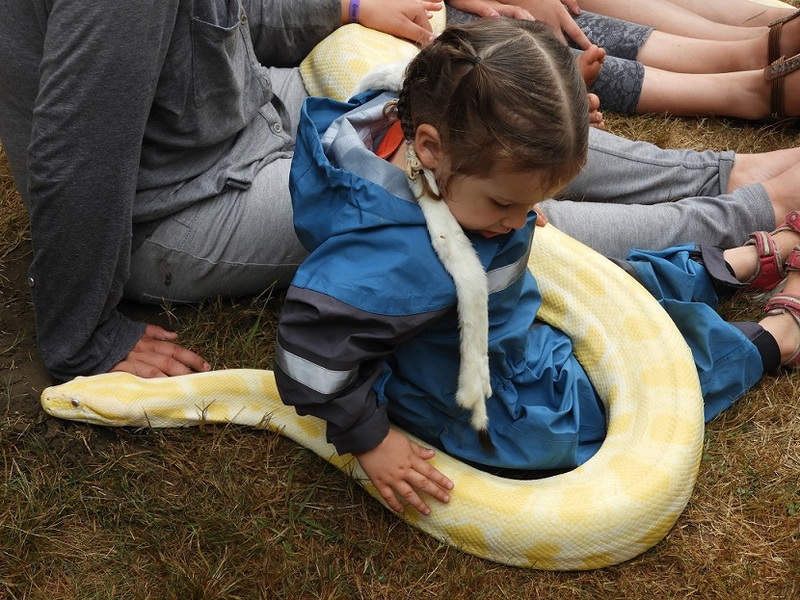 The snake seemed as relaxed as the children it was sprawled across.